Most cases of sore throats are due to cold or a viral infection. In clinical definitions, the average duration for an episode of persistent sore throat may last for up to 3 to 4 weeks. In most cases, medical treatment is needed to control the symptoms as long standing cases are usually suggestive of an underlying medical problem. What Causes Persistent Sore Throat? Persistent sore throat is very common after long periods of excessive shouting. For example, excessive cheering after attending your favorite performer's concert or to boost the morale of your favorite team in a game. This may also happen if you are a teacher. Straining your vocal cords can damage your vocal muscles which may then lead to the inflammation of vocal cords, for a couple of days. As discussed previously, shouting and screaming can damage the throat easily. In addition, scratching or a lodging of a foreign body in the throat (such as while swallowing large bolus of poorly chewed food or impaction of a fish bone in throat) can also lead to persistent sore throat. It is therefore recommended to chew food properly before swallowing to prevent indigestion and other throat injuries. Irritants like smoke and dust particles can also cause sore throat. After exposure to an allergen, human body responds by eliciting an inflammatory response that is characterized by swelling and tissue edema. Allergies can make your mouth and throat dry while producing excess mucus to cause post-nasal dribbling and resultant cough and irritation. Allergies are seasonal, and lasts for some weeks. The symptoms are caused by the reaction of body to allergens. Allergens make eyes watery and itchy. 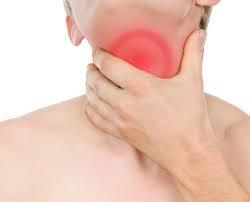 Sore throat can also be due to indigestion, with symptom of Gastro-esophageal acid reflux in the upper area of throat. The thin layered mucus traps particles of smoke make your throat sore. Bacteria also cause sore throat especially when the immune system is weak due to chronic health issues. In most cases it is hard to differentiate if the symptoms of persistent sore throat are due to virus or bacteria. Severe symptoms are mostly due to bacterial infections, especially streptococcus pyogenes. The infections further cause persistent sore throat for which you should visit a doctor for optimal treatment. A specific type of bacteria, streptococcus causes strep throat which requires optimal treatment in the form of antibiotic prescribed by your doctor. Fever and swollen tonsils can further worsen the symptoms. Doctors diagnose this infection by a throat culture before prescribing medicines. Our immune system may get weaken due to medical conditions like AIDS, which makes you sensitive towards certain infections. Some medications can also cause sore throat, such as anti-depressants and anti-histamines etc. They make the throat painful and dry out the mucus in the throat. Breathing dry air can also cause persistent sore throat especially if you're travelling in a dry climate or during winter when the humidity gets very low. In all such cases, nose comes to the rescue and therefore you should breathe through nose for better results. Flu and cold are the most common causes of sore throat. The disease starts from the larynx and eventually involves the entire throat. The symptoms lasts for a few days. In the environment we live, viral infections are very common. Common cold have symptoms like sore throat, postnasal drip, nasal congestion and cough. Common colds take around 3-7 days to go and there's usually no need to visit a doctor. It can be treated by some simple home remedies like use of humidifier, honey and lemon tea, salt gargling, hydrated body, OTC medicines and cough drops. The persistent sore throat usually resolves spontaneously, but if no change in symptoms is observed for a few weeks and you are experiencing swollen glands and fever; then consult your doctor immediately. Sore throat for more than few weeks can have unusual and serious symptoms. Don't use too much of your voice and get sufficient sleep. Quit smoking if you haven't already, do not let any smoke enter into the house and don't use cleaning items which cause irritation in throat. 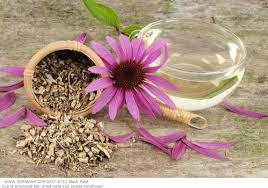 Echinacea is a herb that is traditionally used to fight against flu and cold symptoms in the body. Its tablets are used to increase the resistance against infections in your body by making the immune system stronger. It allows the body to fight against cold and flu. To find the best treatment for your sore throat, it is imperative that you find the culprit behind it. Sore throats caused by bacterial infections are treated with antibiotics. If you don't treat the strep throat seriously it can cause serious complications like heart disease and valvular defects. Antiviral medicines are used to treat persistent sore throat that is caused by viral infections or you may get better without any treatment. If your sore throat is due to allergies, then you need medication to control the symptoms in addition to avoiding allergens to ease the symptoms and pain. What Other People Have Experienced and Suggested? “I am resident of US (Midwest). I have had persistent sore throat. I noticed that unless I consume dairy products or a lot of protein, my throat doesn’t cause any trouble. I believe the symptoms are due to a stubborn virus that is not ready to leave. It feels strange because I am the only person in my family and also at work to suffer from this condition”.